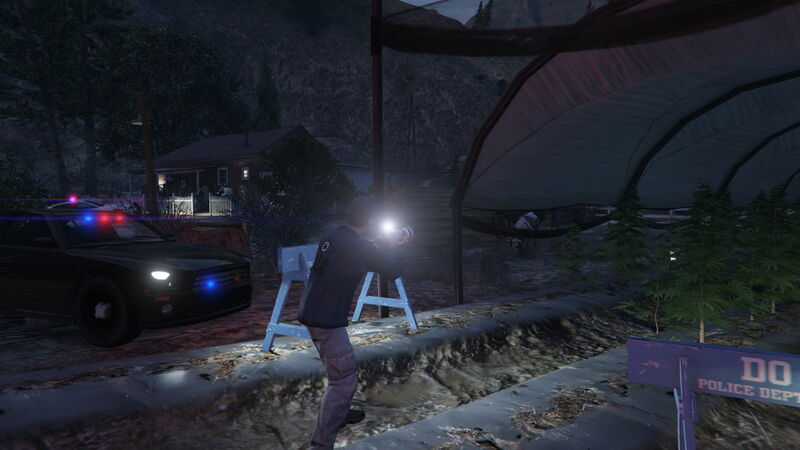 Though Grand Theft Auto V mods like Iron Man armour and makeovers get a lot of attention, what’s most caught my eye lately is little dioramas with staged scenes. I’ve been wandering murder investigations, highway checkpoints, a Presidential rally, and even recordings of a ghost-hunting TV show. As a fan of little things, I’m pleasantly reminded of dollhouses, model villages, terrarium scenes, and especially Germany’s massive Miniatur Wunderland.The diorama designers pick spots in GTA V’s world then plop down extra scenery, props, vehicles, and dressed NPCs to turn them into little scenes. 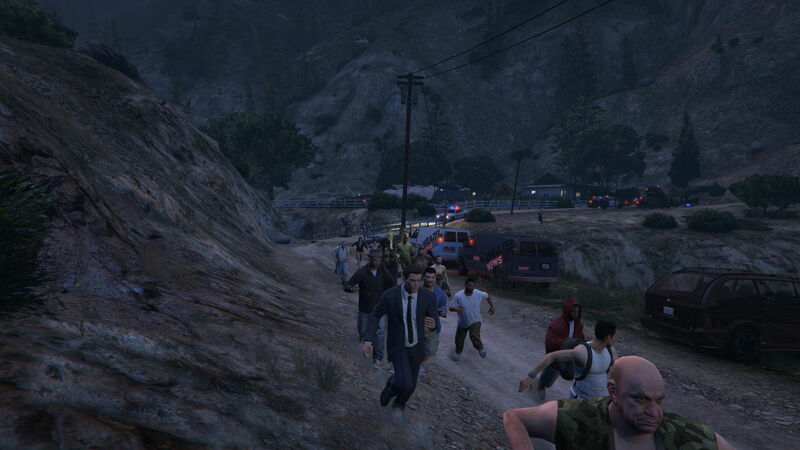 Most focus on crime and disaster, as you might expect with GTA, but some do go weirder. 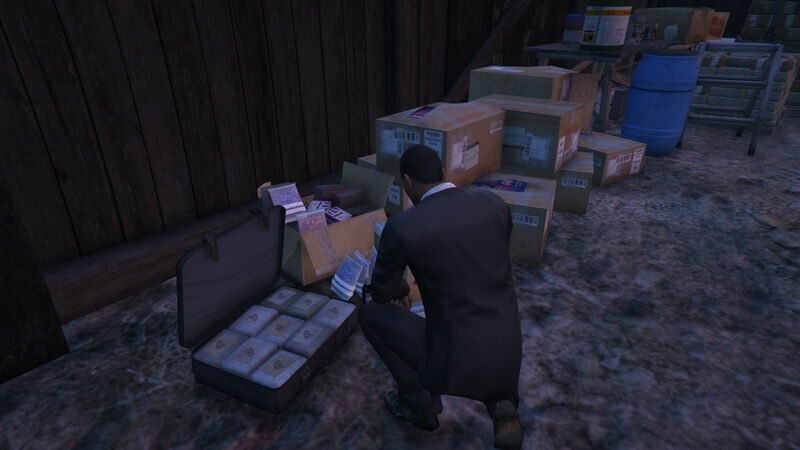 Let’s start with a drug bust by “Milchtropfen“, who also made all the other scenes I’m looking at here. 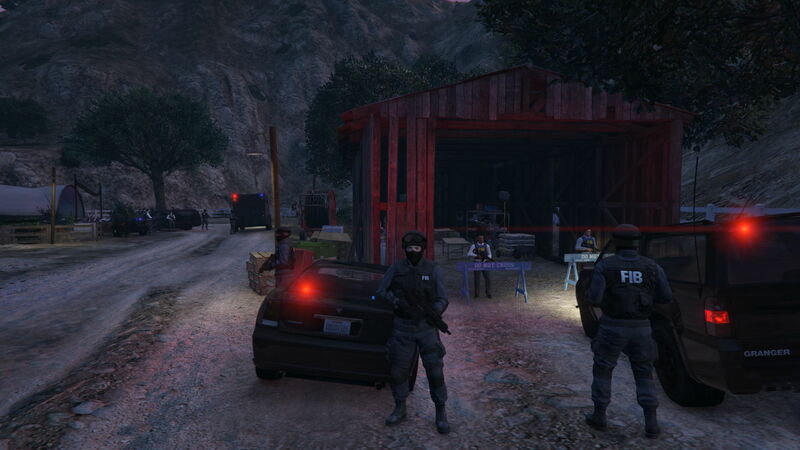 Out on a weed farm, the rozzers have held a bust. Television cameras and a crowd of photo-snapping gawkers have gathered behind the barriers. 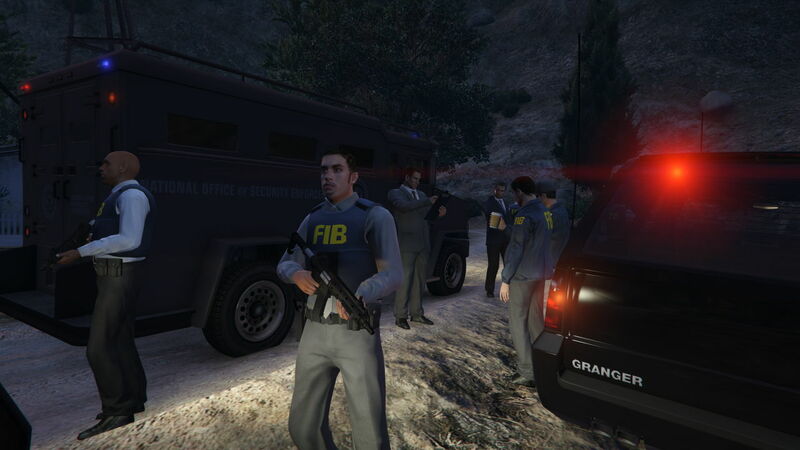 The feds are in charge, with the big cheeses looking at clipboards, making calls, and chugging coffee. In the fields, a photographer snaps evidence photos of the wacky baccy. And the barn is under heavy guard. Because the feds are digging through and recording a huge stash of drugs. I like the suggestion of crime that isn’t just a fleeting three-star rating, where the police and FIB do more than chase perps until they hide down a train tunnel. 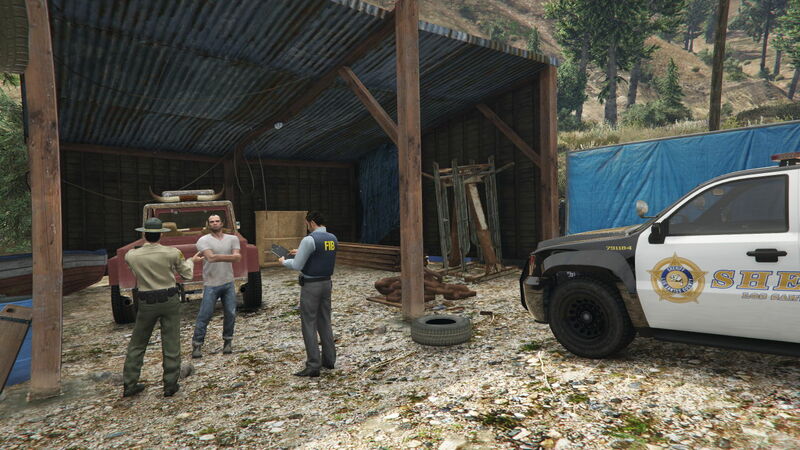 This farm features briefly in GTA V’s campaign (without the huge stash in the barn) during a short random event where Trevor murders everyone, then the world continues as if nothing happened. This scene treats a bust as a real crime to cordon off and investigate. 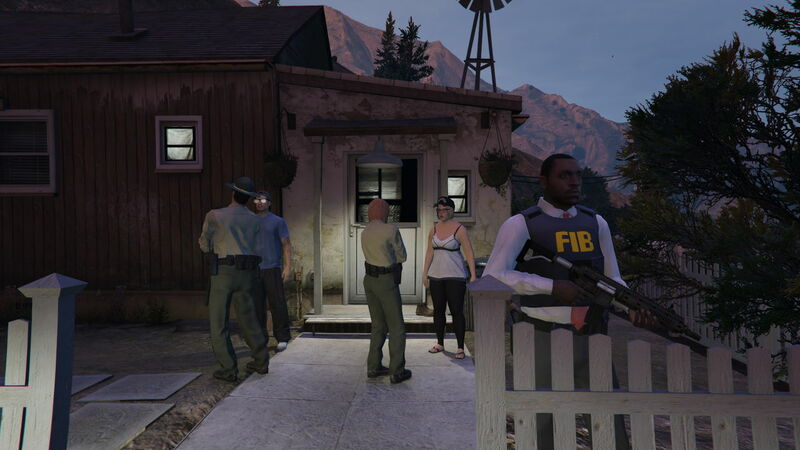 I wouldn’t want a GTA game to actually treat crimes this seriously but I love exploring a little scene set inside a world where the police do stop to take statements. As someone who’s dabbled in dollhousery and dioramas, I’m always fascinated by the scenes people freeze in time. 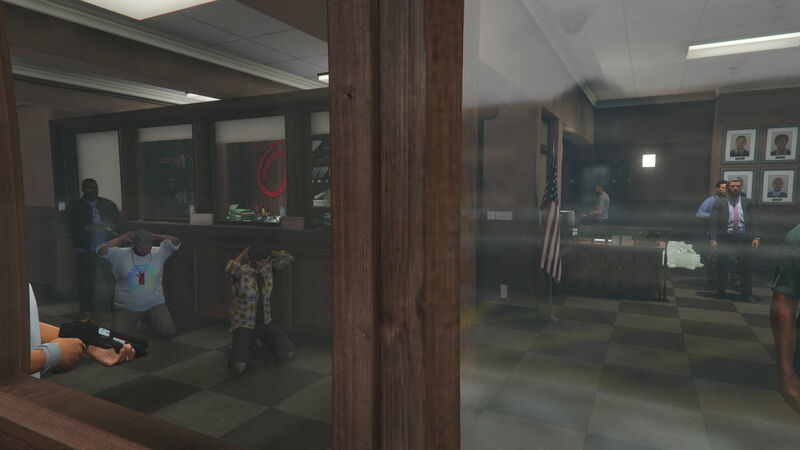 I enjoyed poking around this paused bank robbery. Police are holding crowds back, news cameras are set up, a circle of cars surround the building with SWAT fellas holding tactical positions, and these hostages stand here forever, wobbling gently. 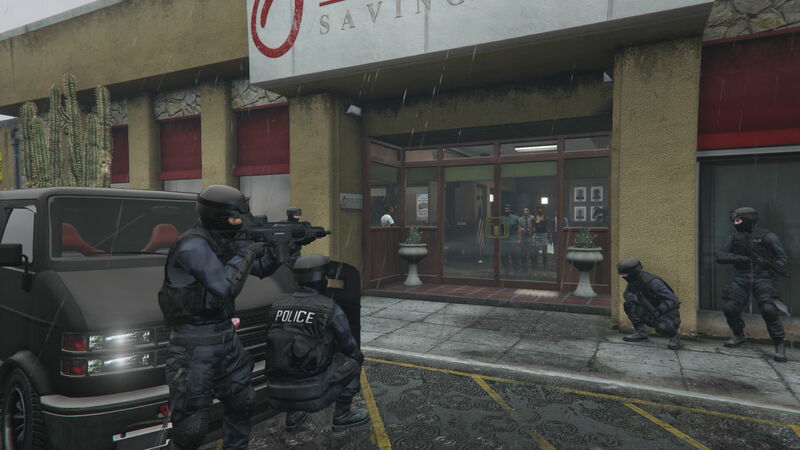 Barge into the scene, ignored by both sides, and you can ram your face against the glass doors to see money stacked up beside the open safe and several hostages down on their knees at gunpoint. I love getting up close with dollhouses and peering at them from different angles to find surprises as some sort of giant god, so this is a treat. Another crime scene has a blood trail leading to severed bodybits around a table saw, which the cops hadn’t found yet and I missed at first too. But amid all the crimes, I was delighted by visits to the sets of a ghost-hunting TV show. 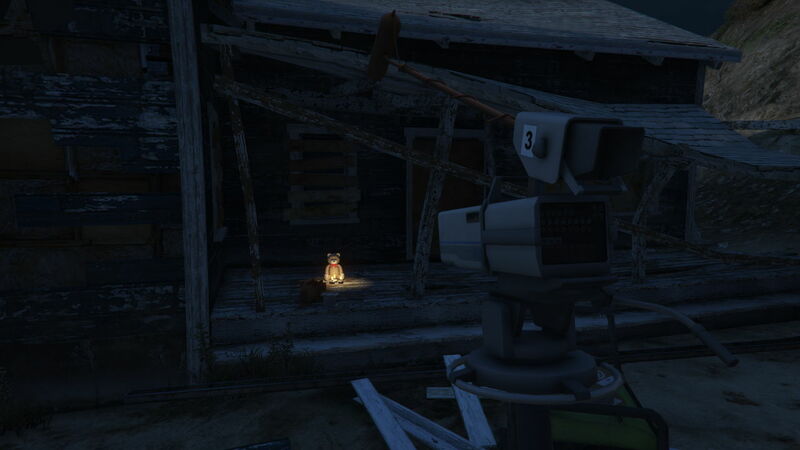 Cameras, crew, and weird gadgets are set up watching several spooky buildings, because why not? 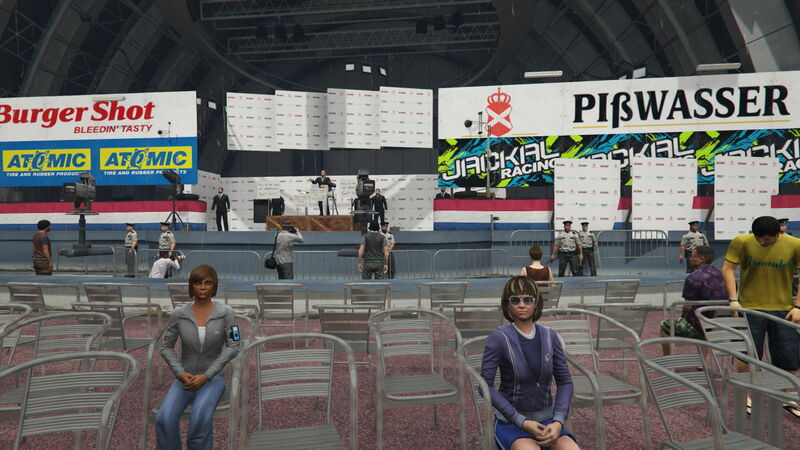 Or visit a fortified stadium speech by the President, which in some act of metasatire would sometimes load glitched out with most the crowd missing and half of the rest facing away as the scenery slowly collapsed. 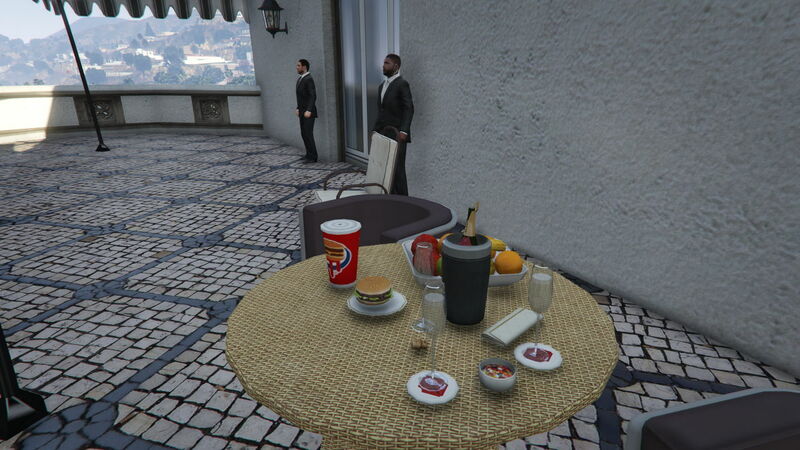 In two later mods, visit the President’s plane at the airport, then push past crowds of Secret Service agents at the hotel where he will enjoy a meal of a burger, shake, fruit, fizzy wine, and sweeties. I enjoy the care and attention to detail. More than just human interactions, these are planned operations demanding infrastructure, taking into account what all of the little dolls present will need. You’ll find enough vehicles for everyone, road cones carefully laid out for safety, portaloos, lights, generators, marquees, mobile offices, newspapers, first aid kits, fire extinguishers, coffins, burgers, bottles, bagels, bins, and barricades. 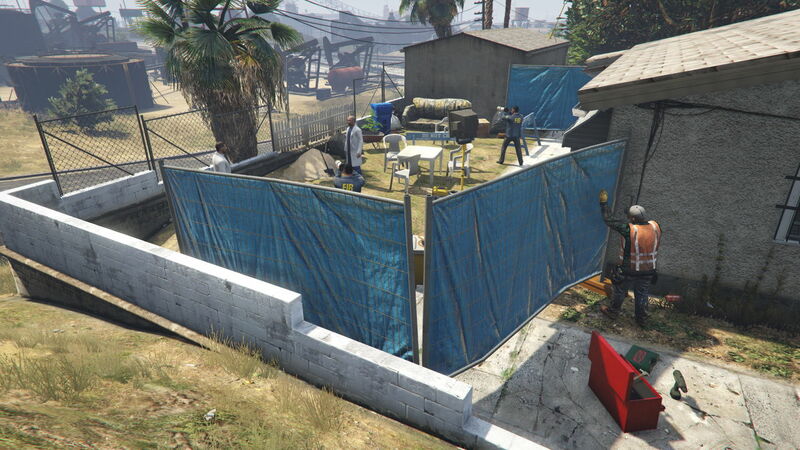 You might even see people erecting those barriers. I do very much see these in the same way as dollhouses, building in a giant city of a house with a huge range of dolls and decorations. These aren’t mods you can casually load up to passively enhance the world, to just add interest, as the hacky way they must be made means the game can only handle so many before it stumbles then crashes. They’re not makeover mods. These are places to visit and peer at. I enjoy the artificiality. People stand silent in looping animation cycles, gesturing, leaning, switching feet, but never going anywhere or doing anything. And they wonk out when GTA’s dynamic elements get involved: freshly-spawned pedestrians strolling through tense standoffs; a driver pulling into a checkpoint to talk on her phone before getting back in and repeatedly ramming and reversing to get past a concrete barrier which is invisible in her understanding of the world; a cow knocking a physics object and making a crowd panic as the cops somehow blame me and open fire. I also quite like that designers often make the fuzz capture the naughtiest and cruellest doll in all GTA: Trevor. Everyone will be safer now. Be nice to the NPCs, won’t you? 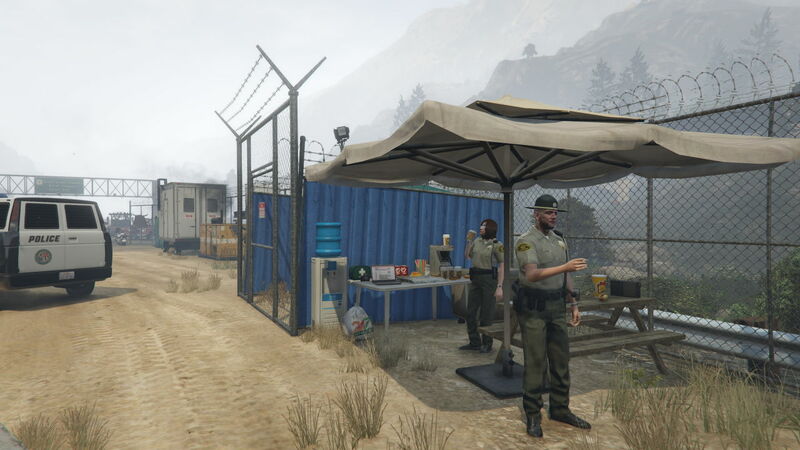 If you want to explore dioramas yourself, look in places like the Maps section of GTA5-Mods. Most of them require Menyoo, which itself requires Script Hook V. Many more players have made many more scenes, including some big spectacles, so enjoy poking around. Disclosure: I do know some folks who work on GTA, but you know what they say – in Edinburgh, you are never more than 6 feet away from a Rockstar employee. 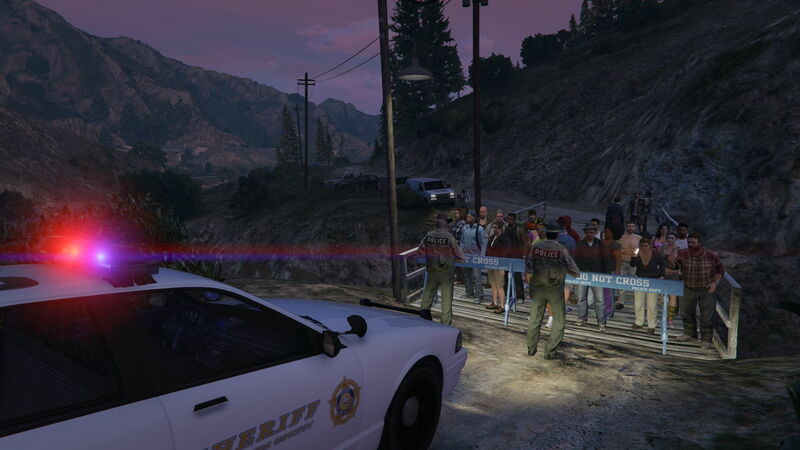 Tagged with feature, mods, Rockstar, Grand Theft Auto V.